Importing all of your vendor products has never been easier. And, it can be done in a SINGLE spreadsheet! The days of multiple spreadsheets to handle each vendor are over. Implement all of your vendor products in a simple and easy manner through the Products section of Skubana by identifying each product with your respected vendor’s name! 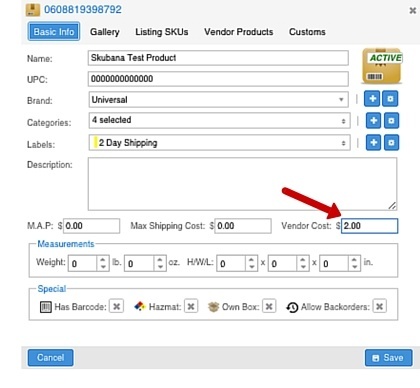 Implementing your vendor costs per SKU, will allow you to see your profitsright away. Knowing your costs & actual profits is the HOLY GRAIL of e-commerce. Simply click a SKU, and fill in the appropriate cost for accurate analytics allowing you to make smarter decisions about your products. Lastly, your import spreadsheet can easily identify which products do not have vendor costs or vendor SKUs on the product grid. Making it easier to identify, which products you need to update. 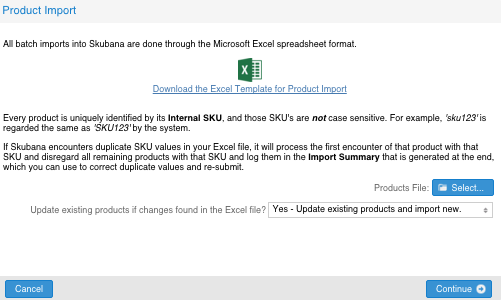 This is crucial that you update this information in your product import in order to maximize your ROI with Skubana’s analytics. ✔ Why Are Costs So Important?